An unlikely, but incredibly cool, jam. A star-studded celebration of The Beatles. Deluxe package includes new mixes, previously unreleased demos, studio sessions and more. 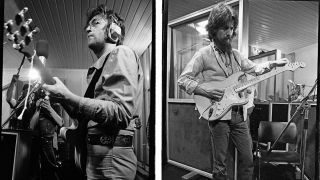 The gear you need to emulate The Beatles' sound, without leaving just cobwebs in your bank account.